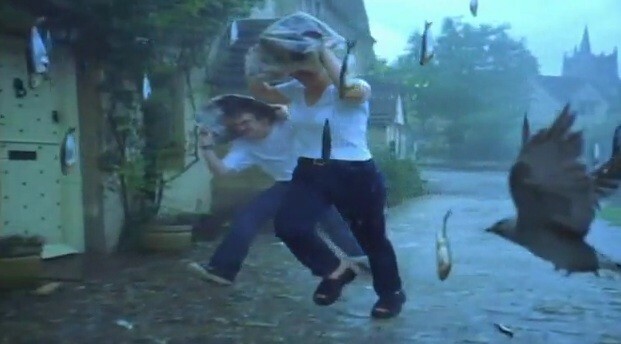 The strange story of the fish rain of London. An original The Freaky investigation. “I’ve been in this house for 71 years – nothing’s ever happened before, nothing like that…” recalls Londoner Ellen Langton. It was a rainy night in London, Ellen Langton & her husband were indoors relaxing in front of the TV. Suddenly, a sound quite unlike raindrops started hitting their roof. Too wet and cold to venture outdoors, they went to bed…. Even though it had been raining cats and dogs – where on earth could fish have come from ? 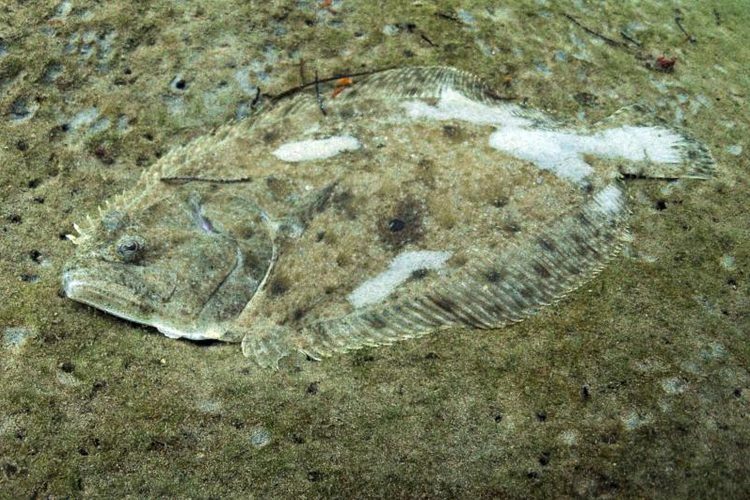 A Flounder fIsh similar to the ones found in the London fish rain. The fish found their way to London’s Natural History Museum – and fish curator, Oliver Crimean. He identified them as Smelt and Flounders. After examining the fish, Oliver was able to be pretty certain where they were from: not the sea – but London itself. …but the Langton’s home is at least a mile away from the river. So unless they dropped out of a plane – or were dropped by birds – how had they got there ? “The usual explanation for this, the mechanism that is most likely is that a waterspout, a cyclonic wind moving over water can pick objects up and we know whirlwinds can pick up quite heavy objects so travelling over water, there’s no reason why they couldn’t pick fish off the surface,” says Crimmen. Water spouts can form more or less anywhere – there are hundreds a year in Florida – the UK gets at least 15 per annum. But how could a load of fish get sucked up in one & be dumped over a mile away ? Ross Reynolds at the University of Reading is waterspout king! “I’ve been in this house for 71 years and nothing has ever happened before like fish coming down or anything like that,” says Ellen Langton. There are stories of money, frogs, frozen squid, cigarettes and even Star Wars figurines falling from the sky…perhaps Ellen got off lightly after all. “… the builder said, come and get some chips and we can have fish and chips for lunch!” she laughs. i never knew waterspouts could do this!